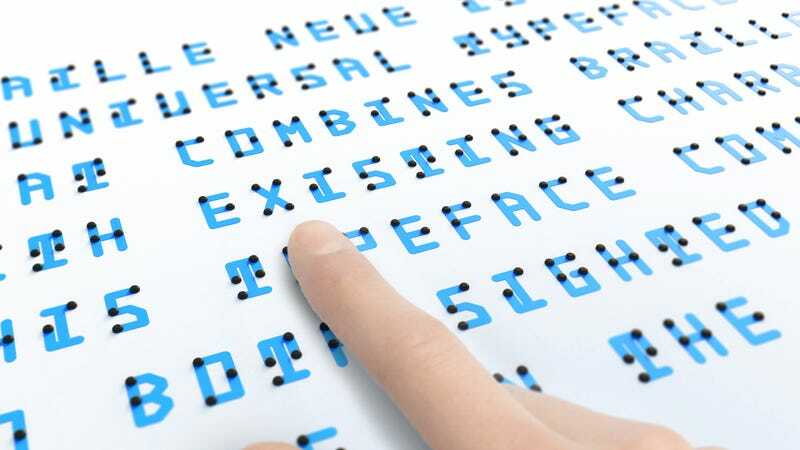 Exploring the limits of type design, Tokyo-based designer Kosuke Takahashi has developed Braille Neue, an attempt to combine Braille with the English and Japanese alphabets. This is no easy feat. There are, for example, 26 different characters in the English alphabet, while in English Braille, there are as many as 250 different symbols, representing letters, numbers, articles (“a”, “an”, and “the”), and letter combinations (such as “ed” and “wh”). While this idea has been tried before, as Fast Company points out, the project poses potential as a way to direct more attention towards Braille, for which literacy continues to decline amid the rise of computers, smartphones, text-to-speech tech, and voice-based assistants. This “work in progress” is sadly not yet available as a downloadable font, but more information can be found here. Can We Talk About Kickstarter&apos;s New Squishy, Podgy Blob? Did Design Really Cause Hawaii&apos;s &apos;BALLISTIC MISSILE THREAT&apos; False Alarm?